New API Certified CK-4 and FA-4 Diesel Engine Oils are Available Beginning December 1 in 2016. Normally, engine oil standards are developed to protect new and current engine technologies, meet government regulations and ensure tests are in place to measure engine oil performance. API CK-4 will first appear in the API Service Symbol “Donut” on December 1, 2016. 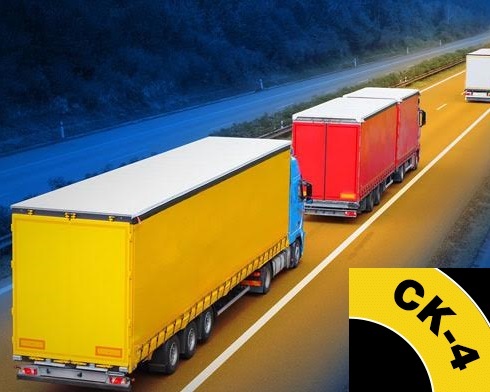 API CK-4 oils will protect today’s diesel engines better. API CK-4 oils exceed the performance criteria of API CJ-4, CI-4 with CI-4 PLUS, CI-4, and CH-4 and can effectively lubricate engines calling for those API Service Categories. LUBRITA DEO Low SAPS HD SAE 10W-30 and LUBRITA DEO Low SAPS HD SAE 10W-40 are synthetic Fuel Economy Longlife engine oils for turbodiesel commercial vehicle engines. LUBRITA DEO Low SAPS HD oils is characterized by increased oxidation and shear stability as well as improved air separation capacity to meet and exceed the latest requirements of API CK-4. It has been specially developed for the latest generation of Euro IV, V and VI diesel engines with exhaust aftertreatment and soot particle filters. Extended oil change intervals according to the manufacturers‘ instructions. API’s Lubricants Group approved the new API CK-4 and FA-4 specifications to address the varying needs of engine technologies – aging, new, and in use, both on- and off-highway – and to help diesel engine manufacturers meet more stringent emissions requirements. For more information, please contact LUBRITA technical department.